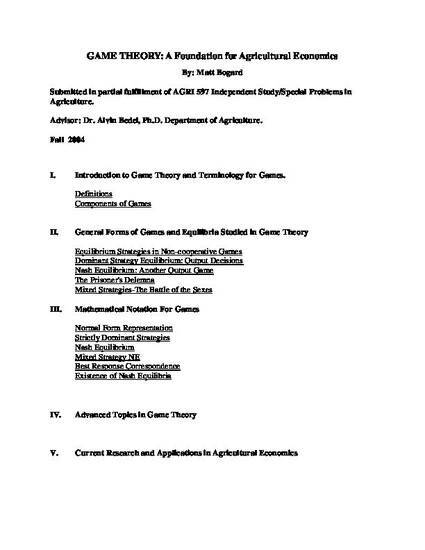 Game theory is often part of a normal course sequence in microeconomics for first year graduate students in Economics. Traditional microeconomic theory and equilibrium analysis emphasizes rational self interested decision making in a setting of perfect competition, where only the collective actions of many individuals affect equilibrium outcomes. Game Theory focuses on individual decision making among groups of individuals where one person’s decision can affect the well being of others.